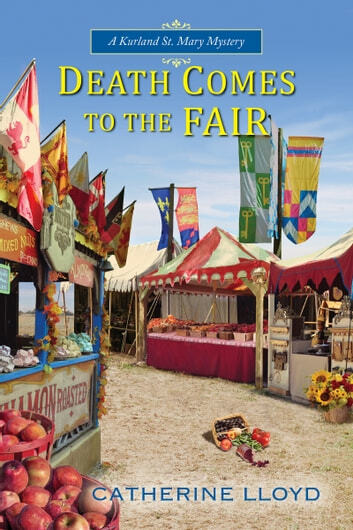 It’s harvest time in the village of Kurland St. Mary as Lucy and Robert prepare to wed—but a murderer has taken an unseasonable vow of vengeance . . .
As Miss Lucy Harrington, daughter of the village rector, and Major Sir Robert Kurland plan their nuptials, the major is beginning to wonder if he’ll ever hear wedding bells. He’s seen complex military campaigns that involved less strategy, and he’s finding Lucy’s meddling family maddening. When the body of Ezekiel Thurrock, the church verger, is discovered crushed by a gargoyle that has fallen from the bell tower, the wedding is delayed. 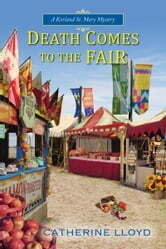 But the evidence suggests this was no accident, and Lucy wonders if bad blood at the village fair had anything to do with the man’s mysterious demise, since there was much bitterness over Ezekiel’s prizewinning vegetables. As Lucy and Robert uncover long-standing village feuds, the town’s dark secrets begin to take their toll and the couple soon finds they too are in grave danger . . .